Shop online for 107 graffiti model railroad decals at discounts up to 25%. Blair Line is ranked #1 out of 3 graffiti model railroad decals manufacturers, followed by T2 Decals, and Microscale Inc. This is the HO Scale Graffiti Decals Mega Set - #2 pkg(9) from Blair Line. This is the HO Scale Graffiti Decals Mega Set #8 from Blair Line. (11). 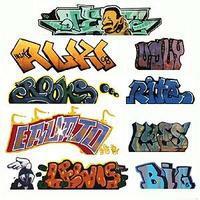 This is the Graffiti Decals Mega Set - #1 pkg(8) from Blair Line. This is the HO Scale Graffiti Decals Mega Set - #3 pkg(8) from Blair Line. This is the HO Scale Graffiti Decals Mega Set #11 from Blair Line. (9). This is the HO Scale Graffiti Decals Mega Set - #6 pkg(9) from Blair Line. 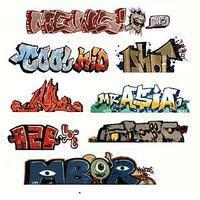 This is the N Scale Mega Set Modern Tagger Graffiti Decals - #6 pkg(9) from Blair Line. This is the N Scale Laser Cut Graffiti Decals - MegaSet #8 from Blair Line. This is the HO Scale Graffiti Decals Mega #14 from Blair Line. This is the HO Scale Graffiti Decals Mega Set #12 from Blair Line. (8). This is the HO Scale Graffiti Decals Mega Set #10 from Blair Line. (11). This is the N Scale Mega Set Modern Tagger Graffiti Decals - #3 pkg(8) from Blair Line. This is the HO Scale Graffiti Decals Mega Set - #5 pkg(8) from Blair Line. This is the HO Scale Graffiti Decals Mega Set #9 from Blair Line. (9). This is the HO Scale Graffiti Decals Mega #13 from Blair Line. 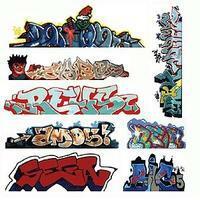 This is the N Scale Mega Set Modern Tagger Graffiti Decals - #5 pkg(8) from Blair Line.